ELLIJAY, Ga. – The Gilmer County Board of Commissioners (BOC) has been considering litter in the county for over three months now. As FetchYourNews originally reported in February, “Roadside trash concerns rising in Gilmer” and further discussed in a Special Called Meeting, the BOC was set to hire seasonal employees to cover trash pickup ahead of the county’s mowing team. With a cost close to $45,000, the board was all approved and ready to move forward with the hiring when Chairman Paris returned with another option that was approved in the March Regular Meeting. For a similar cost, the county could hire one extra sheriff’s deputy to supervise prison inmates to travel the roads instead. This option would serve the county year-round instead of a specified summer season. Additionally, the program enlists inmates of the prison system to provide service to the county during incarceration. The project was approved in the March meeting of the BOC with set expectations to analyze and monitor the progress so that the commissioners could keep track of the project. With the new funding allocation covering salary and benefits of a deputy sheriff, the office is utilizing equipment it already possessed to operate the transportation and needs of the job. Originally, the BOC stated that with the mowing season upon us, these crews would travel ahead of the mowing teams. 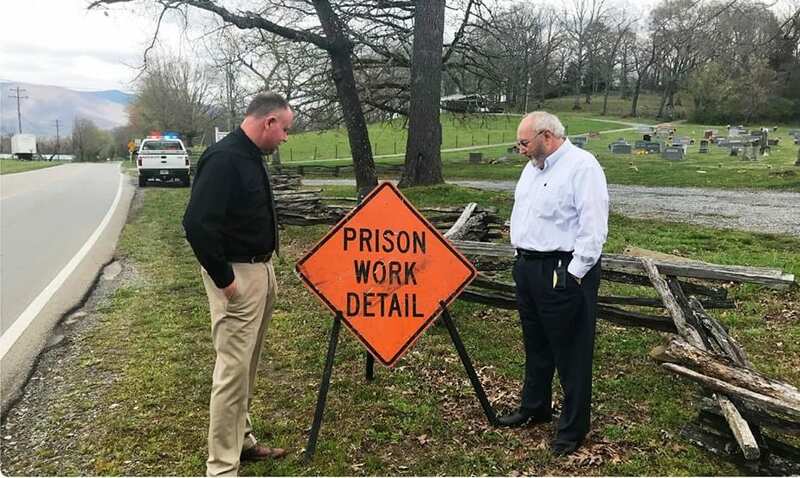 Gilmer County Sheriff Stacy Nicholson confirmed the immediate goal for the inmate work detail will be to go ahead of the county’s Road Department mowing crews, so the litter can be picked up before the mowers shred and scatter it. He went on to add that on inclement weather days, the inmates will be utilized to accomplish “inside” jobs. As the work detail gets caught up ahead of the mowing schedule, it will be bounced around to address problem areas when possible. With an ongoing concern by citizens and businesses about the issue of litter in the county, Chairman Paris has stated that this is not the end answer, but a step towards a solution. Sheriff Nicholson would like to remind everyone that there are pretty costly fines for anyone convicted of littering and that “intent” is not a requirement of the offense, meaning trash blowing out of the bed of a pickup truck is just as much “littering” as someone purposely throwing it out the window of his or her car. Fines for someone caught littering can reach $1,000.